If you’re a crafter, you probably have a few local shops you like to visit. But there are so many amazing online craft stores to discover. Sites like Craftsy, Blitsy, and Create for Less offer everything from classes to supplies. It’s a fun way for you to improve your crafting skills and tackle different types of crafting projects. Learn more about 12 of our favorite online craft stores to find the one that best meets your needs. Craftsy, now known as Bluprint, is an online craft education site. They offer high-definition interactive video tutorials and downloadable workshops. This site is not for beginners alone, but also has plenty of classes for the advanced crafter. They have many projects for quilting, sewing, painting, and drawing. You’ll also find lots of kid’s projects, cooking, baking, photography, embroidery, jewelry, weaving and so much more. You’ll find convenient project kits that include all the supplies you will need to create your craft. Join Craftsy Unlimited (now called Bluprint) to gain access to thousands of instructional videos. Not up for commitment? Their seven-day free trial allows you to try the site for free. It’s the perfect way to never run out of inspiration! Bluprint is also a vibrant community for people who love to create. The site has a community forum to exchange ideas and get helpful hints from other members. With over half a million enrollments, you’re sure to find connections with other members. And this site allows you to branch out and learn new skills from the comfort of home. Try your talent at icing and decorating a cake. Or make a quilt like Grandma used to make. And be sure to use our Craftsy coupons and Bluprint promo codes. They’ll help you save some green on your upcoming projects. Blitsy offers the supplies crafters need to turn creative ideas into finished projects. They carry a vast quantity of paper craft supplies. You’ll find everything from adhesives to die cutting and embossing machines and accessories. Plus there are card kits, embellishments, glitter and sequins, scrapbook paper and scrapbook kits. And they have plenty of supplies for stamping, foiling supplies, stickers, and rub-on decals. It’s almost everything a paper crafter would need or want to finish their project. Blitsy also carries art supplies like oil paints, gesso, pigments, easels, brushes, clay, and sculpting tools. There’s a wide selection of drawing kits, painting kits, and all sorts of other projects. And for the little crafters, check out Blitsy’s markers, pens, scissors, felt, foam, pipe cleaners, and other fun kids’ supplies. With their blog and videos, you’ll have the inspiration and ideas to get your creative juices flowing. 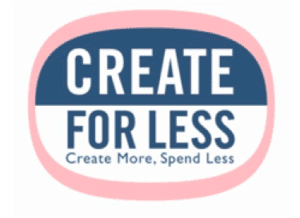 Create For Less is an online craft store that offers creative ideas and supplies at a great price. They’ve curated a vast assortment of sewing and quilting supplies. They have over 4,000 choices of thread and more than 200 sewing notions. Plus you can shop for charms, trim embellishments, cutting boards and mats, buttons and fasteners, pins, hoops, templates and so much more. Their scrapbooking and paper supplies number about 20,000 items to browse through. Create For Less also carries jewelry making items like beads, charms, cording, wire, and findings. Their crafts and hobby assortment includes paints, wood, glues, and project kits. If you knit or crochet they offer a massive variety of yarns, floss, needles, crochet hooks, and ideas and kits. The selection includes supplies for crafty kids plus art, school and office supplies. And don’t forget their floral and garden findings, books, patterns, and novelties. This site stocks goods for any craft project, and their low prices are sure to keep you coming back. Consumer Crafts is a great place for the thrifty crafter to find supplies. They offer a vast line of products including the most innovative craft trends, the newest designs, and plenty of hard to find niche products. With over 30,000 items on their website, it’s a one-stop shop for jewelry making and beading, art supplies, paper crafting and scrapbooking supplies, florals, creative party items, home décor, organizational and storage solutions for your craft supplies, and much more. This site has a wide variety of dollhouse miniatures and fairy garden findings including mirrors, beach and nautical themes, animals and barnyard decor, furniture, doors and windows, succulents, branches, picks and much more. They also offer innovative and stunning ideas for weddings, receptions, holiday decorating, floral bouquets and arrangements, party invitations, and of course tons of fabulous gifts. Be sure to check out the Consumer Crafts blog too. It’s a wonderful place for all sorts of crafters to share their inspiring creative ideas. If you’re looking for fabric, sewing notions, baking and party wares, jewelry craft supplies, or kid’s art projects at a discount, Consumer Crafts is the place to look. They also have free shipping available for large orders. Hobby Lobby is an online craft store full of creative ideas to inspire crafters new and old. They offer numerous projects along with tutorial videos in art, crafts, floral, frames, home décor, jewelry making, paper crafts, sewing, and wedding planning, as well as plenty of other fun and crafty pursuits. Their legendary weekly ad is a simple way to keep up with new items, seasonal projects, and fantastic savings. The company’s website is set up in departments to allow you to find the items you are looking for quickly, whether you’re in the market for scrapbooking, sewing and fabric, hobbies, art supplies, wearable art, party and baking, beads and jewelry and many more. Hobby Lobby offers significant savings and plenty of coupons for additional discounts. You can find their retail stores across the United States along with their convenient online store. They also have an email list to keep you up to date with all great specials and offers they currently have. Hobby Lobby also provides a 90-day return policy for online orders to guarantee you are satisfied with your order. If you enjoy crafting this is unquestionably a store you want to check out. Creativebug is an online source of inspiration for crafters looking for ideas and projects with detailed instructions and classes. By joining Creativebug, you’ll have unlimited access to over 1,000 video lessons, with new offerings released every day. They also have a wide variety of downloadable templates, recipes, and patterns. You’ll find classes in sewing, art and design, paper projects, quilting, knitting, crochet, cooking and home, jewelry, kid’s crafts, and holiday parties. In addition to the paid subscription, Creativebug offers free arts and crafts classes and a free trial so you can make sure this site is right for you. The lessons and inspiration come from volunteers, activists, and teachers who want to share their favorite talents with you. Creativebug website has a blog to share ideas and hints for all crafters. They also have various promotions you can enter to win great prizes like gift certificates to Joann Fabric and Craft Store, a Rebecca Ringquist Prize Pack including her book Embroidery Workshop and a Dropcloth Paisley Sampler, or $240 of Chic Sheep Yarn & 6 Months of Creativebug membership. Their pattern library and Creativebug classes are very detailed so you’ll always know exactly how to create whichever project you’re attempting. They’re designed for everyone – whether you’re a beginning crafter or one of the most advanced crafters in your chosen style. Best of all, you can use our Creativebug coupons to save even more on their memberships, supplies, and kits. Factory Direct Craft is an online craft store with an ample variety of supplies for crafters including candle making supplies, craft books, doll making supplies, kid’s crafts, jewelry making, scrapbooking, wood, ribbons and trims, and much more. They have a fantastic selection of seasonal and holiday craft supplies too. You’ll also find primitive home decor, including a wide array of Americana designs, barn stars, decorative accents, folk dolls, signs and frames, textiles and linens, and wall art. And of course there’s an excellent selection of products for special occasions like weddings, birthdays, luau and beach theme decorations, baby shower supplies, and bridal showers supplies. Their blog offers many creative craft ideas along with simple to follow, detailed instructions to help you create your favorites. They even offer wholesale prices for business-minded crafters looking to buy in bulk. They offer a return policy as their motto is to keep their crafters happy. Sign up for email alerts to keep up with what’s new, sales, and ideas. BJ’s Craft Supplies is known for their low prices and wide selection. This well-rounded craft supply store offers everything from sequins to rusty tin, straw, sand art, Styrofoam, tinsel stems, tissue paper, tools, purses and handles, ribbon, wire, paracord and the list goes on. And if you bead, BJ’s Craft and Supplies has a wide assortment of all kinds of beads from alphabets to flowers to Mardi Gras beads. They also offer many belt buckles and belt kits along with bolo making supplies. You’ll find clock parts, doll making supplies, jewelry making supplies, lamps and lighting, miniatures, sewing supplies, party supplies, scrapbooking and paper supplies and so much more. If you are looking to make that perfect wind chime they have supplies and parts for that too. They even carry music box movements and components. No matter what sort of crafts you enjoy, you’ll want to check out this site. With their wide variety of project kits, you’ll have plenty of fantastic options, no matter your tastes and preferences. BJ’s Craft Supplies also has a vast assortment of downloadable and free patterns and instructions for projects. Michaels is the largest arts and crafts retail chain in America with over 1200 stores across the United States and Canada. But did you know they also have a super convenient online store? Their site features a vast assortment of supplies for arts and crafts. You’ll find everything from canvas to beads, photo frames to floral collections, paints to fabrics, blank t-shirts, and decorative boxes and jars. Michaels also carries some exclusive private brands including Recollections, Studio Décor, Bead Landing, Creatology, Ashland, Celebrate It, ArtMinds, Artist’s Loft, Craft Smart, imagin8, and Loops & Threads. They have complete project kits which include instructions and all needed materials. Looking to learn a new craft? Check out Michaels classes and events that you can attend in many of their local stores. Their website is very user-friendly, so you can quickly locate what you need for your project. Michaels offers a large wedding selection with creative ideas for your wedding ceremony, reception, engagement party, and bachelorette party. They offer a price guarantee so if you find the exact item cheaper elsewhere, they’ll match that price with an additional 10% off. Michaels also accepts competitor’s digital and print coupons, so you can be sure you’re always getting the best deal available. They even offer bulk pricing and easy to use online coupons and sales. No matter what you need to complete your project, you’re sure to find it at Michaels at a great price. Save on Crafts is an online craft store that’s been around for over 16 years. They have great ideas and supplies for weddings, events, and home décor. You’ll find wedding decorations, seasonal projects, vases, candle holders, and even wood slabs and tree slices for your creative projects. If you are looking for Bell jars, glass cloches, bottles, jars buckets and tubs, branches or burlap fabric, jute, or linen; you have found your online store. They have wood crafting supplies, wood burning tools, wood planter boxes, crates, bins and trays to help you stay organized. If you want to create a terrarium, Save on Crafts has a wide selection of bases, planters, hanging glass balls and plants and flowers to inspire creativity in your project. They also have a vast range of home and garden décor. You’ll find all the basics for your crafts and DIY projects. Looking for papermaking supplies, stretched canvas, tulle and mesh, abaca and sinamay rolls? They’ve got you covered. If you’re hoping to find unique supplies for your crafts, Save on Crafts is your go-to online destination. Joann has a great online store along with many brick and mortar retail outlets. They have a massive offering of fabrics if you are an avid seamstress, along with threads, lace, embellishments, needles, patterns, buttons, zippers, linings. Joann has the product you need for any of your sewing projects including home décor fabrics. They also have yarn and needle art supplies, jewelry making supplies, home décor and holiday ideas and projects, baking and party supplies and ideas, paper crafting, crafts and hobby supplies, and an excellent section for kids and teachers. Joann Fabrics offers inspiration with videos for great projects from painting, to sewing, to jar art, clay, yarn, ribbon to name a few. You can learn how to make a pizza blanket for your child or a striped triangular bean bag chair. The ideas are endless. If you prefer hands-on style teaching in a classroom setting, Joann offers many classes at their local stores for crocheting, food crafting, knitting, jewelry, paper crafting, quilting, sewing, home décor, and kids’ classes, and that is not the end of their list. Whatever craft you choose, you will be able to find projects, classes, and all the supplies at Joann. A.C. Moore is an American arts and crafts online retailer and also has numerous store locations on the East Coast. They have many craft supplies and kits for various crafters. They have decoupage craft projects, duct tape craft projects, painting crafts, mason jar crafts, and ribbon craft projects plus many more. AC Moore also has cake craze features, Instagram projects, tie-dye for summer fun, floral crafts and projects. They offer many seasonal crafts including Christmas, Easter, fall, Halloween, Hanukkah, ornament, Thanksgiving, Valentine’s and winter treats and crafts. If you are looking for back to school crafts, or a new baby craft, birthday crafts, something special for Mother’s Day or Father’s Day you will find the project you want to create on A.C. Moore. They offer great discounts and promotions and have a rewards program for the loyal shopper that rewards you with a monetary rewards certificate. Just register and shop and earn some free craft supplies!